Want to make movie night extra delicious? 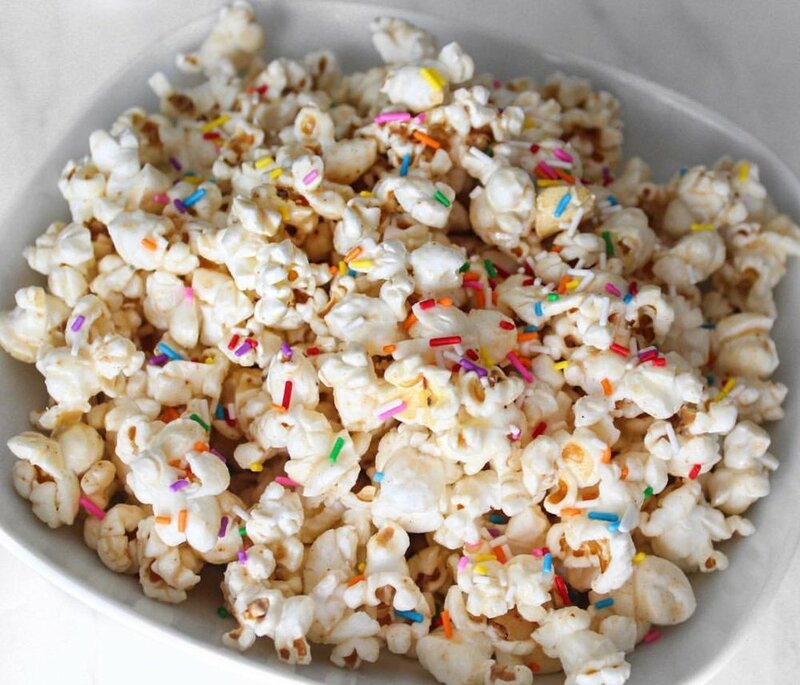 Whip up this Birthday Cake Popcorn from Lau's Healthy Life for a tasty snack! Melt the ghee & coconut butter together, either over low heat in a small pan on the stove or in the microwave. Then mix in the other ingredients until there’s no clumps left. Drizzle this over the popcorn.